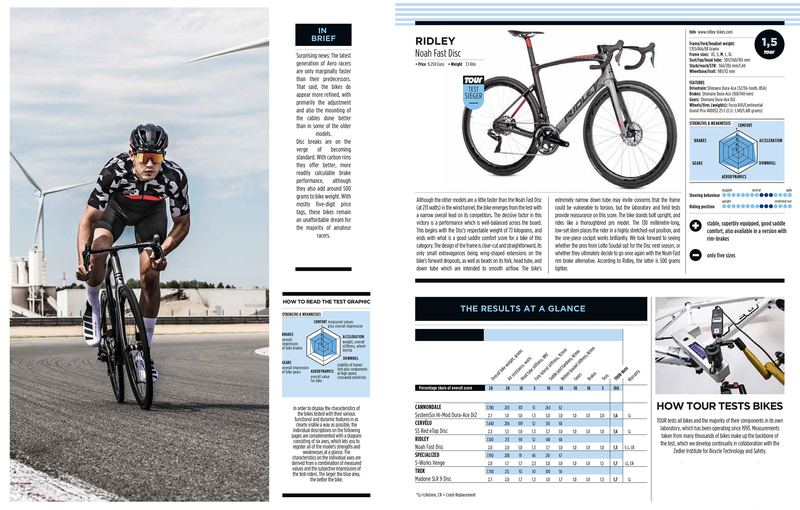 The Noah Fast Disc is Ridley’s new top-level aero model which has evolved from their popular and proven Noah bike which has featured in the pro cycling peloton over the past few seasons. The original Noah incorporated years of experience in developing aerodynamic standards, utilising a productive working relationship between experienced in-house R&D engineers and top sprinters in the pro peloton to create industry-leading breakthroughs. Proven by world-class performances like Robbie McEwen’s Green Jersey win and André Greipel’s victories on the famous Champs-Elysées. The Noah quickly established itself as a synonym to aerodynamic performances. The new Noah Fast Disc required a fresh approach; taking what the engineers had learnt from the original Noah the new Fast was built from scratch with every feature rebuilt. This powerhouse has no rival in cutting through wind thanks to component integrations of the fork, handlebar, seat post clamp, thru axles and cables. With integration and greater position adjustability built into the Noah Fast every rider is able to find their perfect position accurate to 1mm as a result of Ridley’s whole bike approach, where every part needs to fit together perfectly. With further adaptations to the fork, seat post and handlebar the bike's total weight is about 250 grams lighter than the previous Noah while the stiffness of the bottom bracket & head tube is further increased to its predecessor so that all the power you put through the pedals is transferred directly into forward motion. 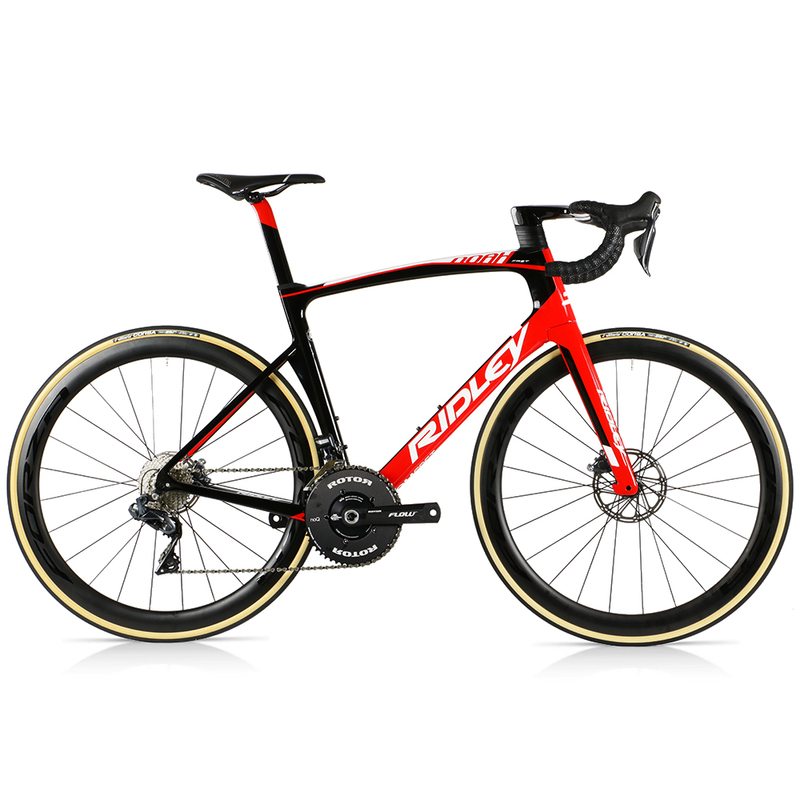 All this speed and aero efficiency is not at the expense of comfort though, the Ridley Noah Fast disc features lowered seat stays which create vertical compliance to enhance comfort and encourage all-day riding. Equipped with disc brakes, the Noah Fast Disc represents the pinnacle of modern road bike design and engineering, bringing together aero efficiency with safe, predictable, consistent braking in any weather conditions. Ridley’s new F-Steerer, with half-moon curvature, ingeniously allows for fully internal cabling. Cables run straight from handlebar, through stem and directly inside the steerer tube where they have room to move freely as bar is turned from left to right. Not only does this decrease air friction from cable drag, but it gives your bike a very clean look. In addition, by adjusting the cross-section of the steerer, Ridley were able to increase its lateral stiffness, which comes in handy when sprinting. Compatible with Shimano, Campagnolo and SRAM. Ridley use only the best quality carbon available, sourced from Toray. They are the world’s leading carbon manufacturer, supplying mainly to the aerospace industry. 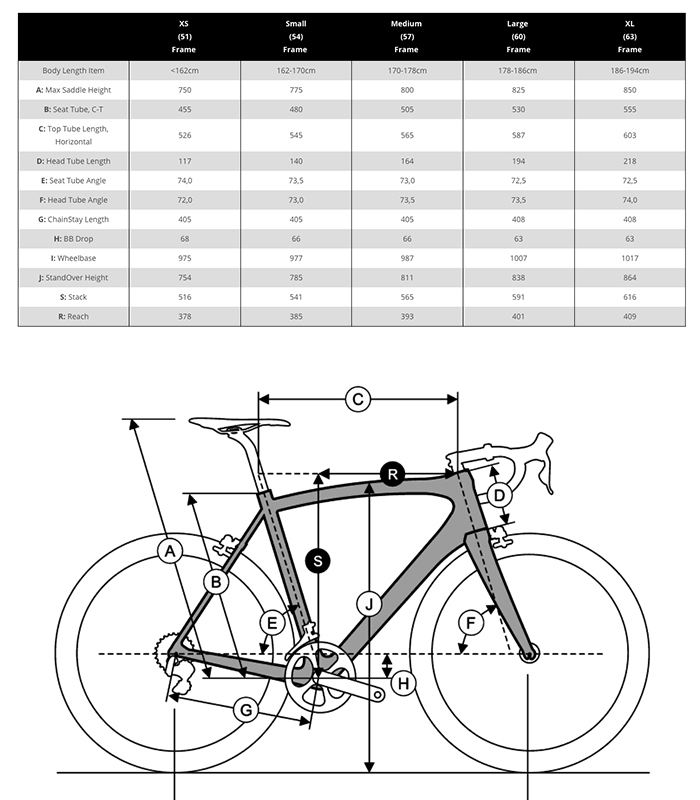 The grades of high-modulus carbon Ridley use vary from the most pliable 24-ton, which gives the frame flex and comfort, to 60-ton which is the stiffest option. F-Surface Plus technology was created so you can convert the same watts into higher speeds. This technology is incorporated into Ridley’s Noah and Dean models. It is the application of a textured surface (similar to grooves in a golf ball) in strategic locations for decreased wind drag. What these grooves do is create a tiny turbulence which causes the main flow of air to better follow the shape of the tube. With a smooth air travel around the frame, you’ll expertly cut through wind. The stronger the wind, the more you will feel this technology working for you. F-Tubing is Ridley’s droplet-shaped tubing which significantly minimises wind drag. By shaping the tubes in such a way, airflow easily follows along the tubing. To further minimise tubing weight, hence increase speed per watt, Ridley blunt-cut the droplet shape just at the point where the airflow leaves the tubing. What this translates into is a drag differential of -4.03% at 50 km/h. 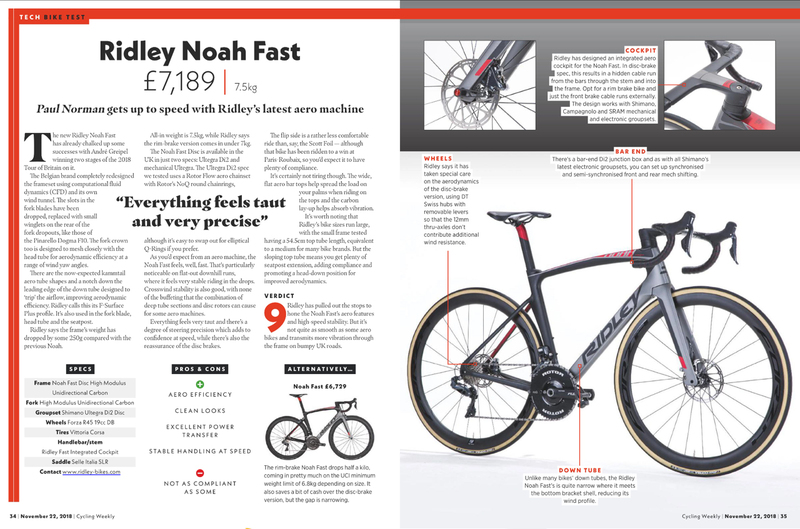 We went to Ridley HQ to find out more about the development of the Noah Fast, read the Blog here.